Bidet faucet in chrome finish including a mechanical drain. The Kleen Bidet Wand by KLEEN STANDARD is a luxury hand held bidet / diaper and multipurpose sprayer, offering the ultimate hygienic bathroom experience that leaves the entire family always feeling refreshed. The solid brass sprayer features an attractive modern look with a high quality make and ergonomic feel that boasts a luxurious chrome plated finish. The T-adapter is solid brass also with a chrome plated finish and includes an easy to control water flow lever and shut-off for advanced safety. The stainless steel hose is 47 inches long for maximum reach and mobility features an extremely flexible and lightweight design with double brass interlock technology. The sprayer holder offers multiple options, it can simply be attached to the toilet tank or mounted on the wall for easy access and storage of your hand held sprayer. Experience a new standard of clean with the Kleen Bidet Wand you will be so glad you did! Incorporating patterns and forms found in the natural world, Symbol faucets add beauty and balance to your bathroom. Featuring a seamless, one-piece design and subtly curved silhouette, this Symbol bidet faucet adds functionality to the bathroom. Additionally, a swivel spray aerator allows you to direct the flow of water for targeted cleansing. The Eva collection offers an elegant, transitional design that gives today's home timeless appeal. With tapered, sophisticated lines, Eva delivers a look that will never go out of style. This bidet trim kit offers a full line of coordinating faucets and accessories to complete your bath. This trim kit requires MOEN valve 9265 to complete installation. Kingsley offers a new way for enthusiasts of traditional style to make their bathrooms stand out, by combining a classic antique look with modern luxury, the Kingsley offers the best of both worlds delivering an inspired aesthetic to your home. Meets WaterSense labelling criteria. This product requires MOEN valve 9265 for faucet to function. 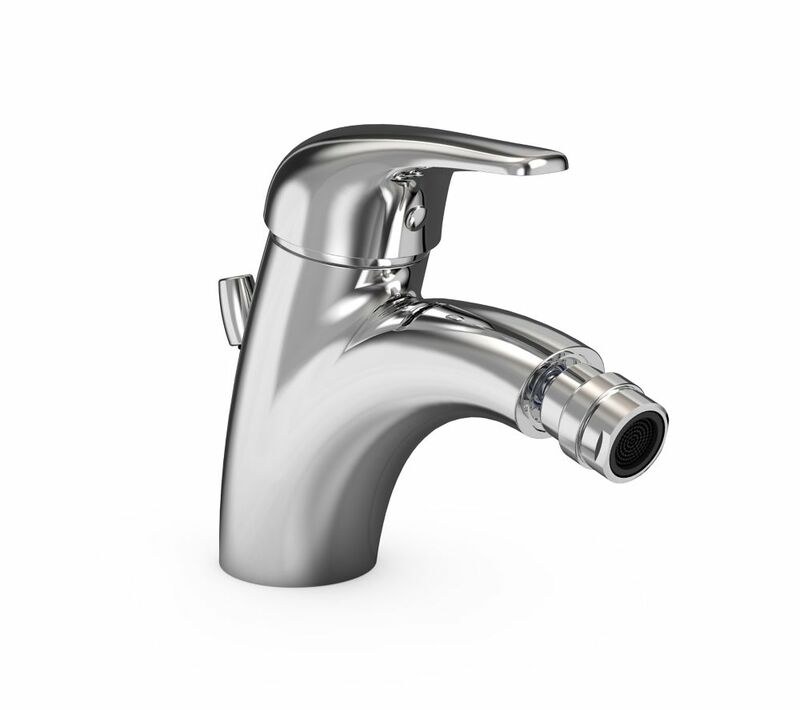 Single-Hole Bidet Faucet in Chrome Bidet faucet in chrome finish including a mechanical drain. Single-Hole Bidet Faucet in Chrome is rated 4.5 out of 5 by 2. Rated 4 out of 5 by bidet from works well so far working very well. nice and simple to install.